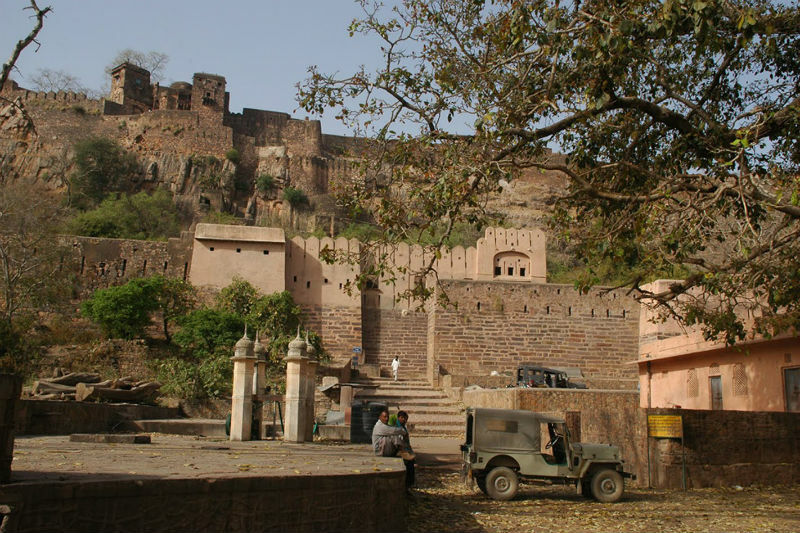 Aman-I-Khas is a resort located at the edge of the Ranthambore national park amid the low hills of Aravali in Rajasthan. Aman-I-Khas is a heady concoction of wilderness and luxury. The word Aman-I-Khas is made of two words- Aman (peace) and Khas (special). And the resort offers you the best of the both. The experience of staying in one of its luxury tents is inspired by the rich Mughal travelling tents is exceptional. While the rooms are separated by the cotton drapes, the canvas tents are a world of indulgence by themselves. The tents offer you a panoramic view of the wild animals and birds in their natural habitat-uninterrupted and uninhibited. The tents are located on the edge of Ranthambore National Park, which is a protected and highly secured nature reserve, and earlier was the hunting ground for the Karauli royal family. The rugged terrains of the national park, the fauna and flora of the nature, the topography, and the intense deciduous forest make a dramatic background from your royal tent. You will wake up to the sunlight cajoling you mildly and get the best of nature sitting out at the deck. 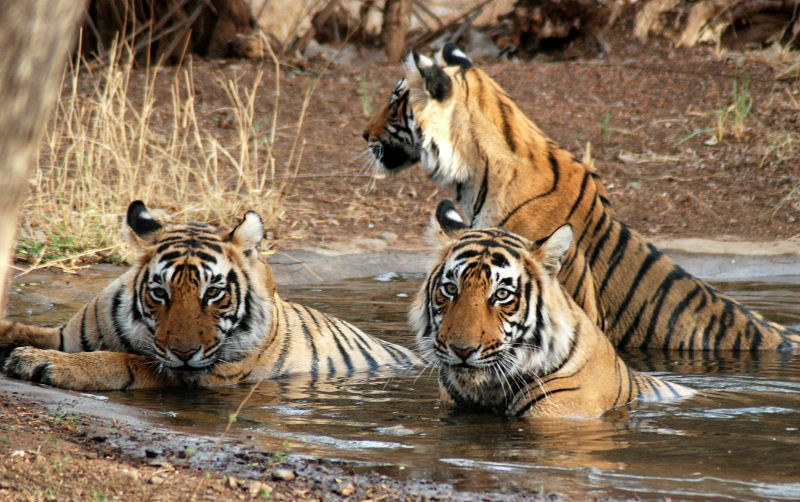 The Aman-I-Khas will arrange an open jeep for your safari to the national park and you will be all set to capture the intense moments on your camera and this drive will take you closer to the wild animals, especially the royal Bengal tiger roaming on the barren land dotted with shrubs and ruins of forts and chhatris. You will also be delighted to find various species of birds in the national park. The highlight of this safari is the impact tigers leave on your mind with their royal walking amidst their habitat or lazing around at the passing rivers or silently prowling near you. After a great day spotting the wild animals and the royal Bengal tigers and exotic birds, you can head to the spa tent and indulge and pamper yourself with spa sessions and later over a round of drinks enjoy a sumptuous meal in your tent.